David Le/Gloucester Daily Times. 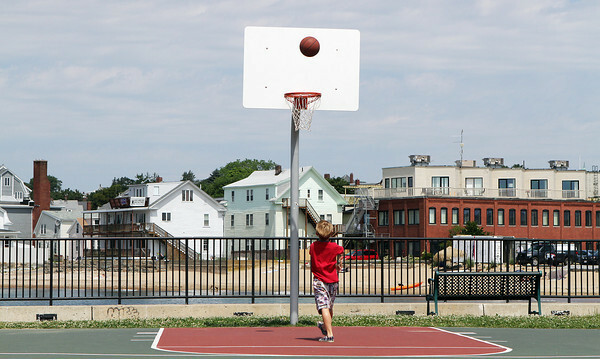 Dru Ouellette, 8, of Gloucester, stands and watches as the basketball he had shot flies towards the hoop at Fort Point Park on Wednesday morning. 7/13/11.